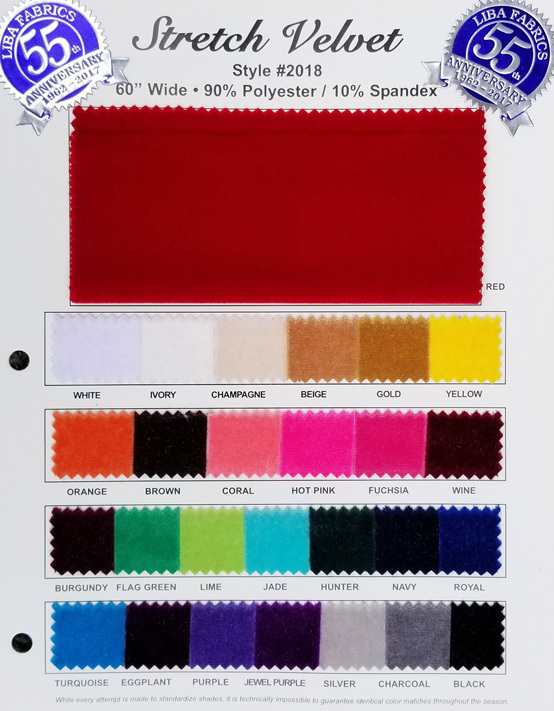 Perfect amount of Stretch - 90% Polyester/10% Spandex. Beautiful to the touch, eye and with excellent coverage 350 grams. Durable, Wrinkle Resistant and Machine Washable. 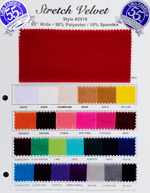 Roll sizes between 50 and 100 yards available in 27 colors.